Mayor Ras J. Baraka announced today that the City of Newark will swear in Emilia Perez, Esq. into her duties as the newest judge on the city’s Municipal Court today, Wednesday, October 10, at 4:30 p.m., in the Municipal Council Chamber, in City Hall. City Hall is located at 920 Broad Street. Judge Perez has a 10-year history with Newark’s municipal government. From 2008 to 2015, she served as an assistant corporation counsel, specializing in civil litigation, representing Newark in court in many court cases, at state, appellate, and federal levels, over a broad spectrum of civil matters. From 2008 to 2015, she was an Assistant Municipal Prosecutor, reviewing investigations to and making recommendations on their prosecution. In October 2015, she became Assistant Section Chief of Civil Litigation, making her second-in-command of this office. “I am extremely thankful, humbled and honored for this appointment. 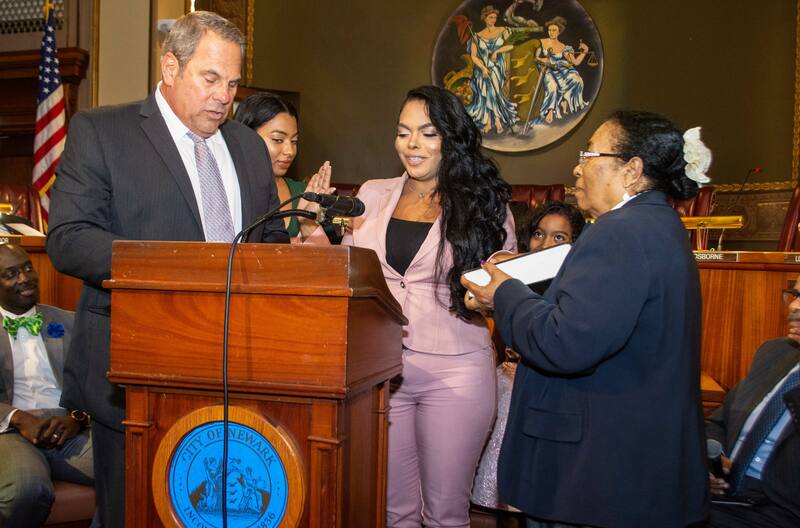 I will serve the great City of Newark, which has exposed me to so many opportunities; with the highest degree of integrity, fairness and distinction,” said Judge Perez. Judge Perez gained her Bachelor’s Degree in Administration of Justice and Sociology in 2003 from Rutgers University-New Brunswick and her Juris Doctorate from Seton Hall Law School in 2007. She is admitted to practice in New Jersey, the United States District Court for the District of New Jersey Bar, and the United States Court of Appeals for the Third District. She is a member of the Essex County Bar, National Hispanic Bar, and New Jersey State Bar Associations. Born in the Dominican Republic, Judge Perez immigrated to Perth Amboy at age eight, and is a first-generation college student, growing up in a family of limited resources. Her father could not read or write and her mother had an elementary school education. A mother of two girls, Judge Perez serves on several community-oriented programs, including as co-chair of the HBA-NJ Disaster Relief Committee.